Social Bookmarking Sites help you in making quality backlinks from high authority sites. This is one of the best SEO strategy to get links from high pr social bookmarking sites. Beside ranking these sites also helps you in getting good number of traffic from social sites. So here i am going to share top 300 high pr dofollow social bookmarking sites list. Whenever we make backlinks to any site we look for quality and in SEO terms PR and DA of a site are the factors which decide quality of a site. Getting a high PR backlink is more helpful then low PR. Like if you get back link to your site from some PR 6-7 site, then it will be equal to 100 links from PR 1-2 site. Similarly links from high authority site is more helpful. So here i am sharing high PR and DA sites for your social bookmarking. Beside PR and DA , dofollow link is also matters. As our search engine bots only understand these dofollow links and ignore nofollow. So here we are sharing majorly dofollow social bookmarking sites with high page rank. Some SEO expert says that nofollow from high authority sites is also useful and you should maintain both nofollow and dofollow back links to your site. As if you only make dofollow links then google will understand and can penalize your site. SO maintain both dofollow and nofollow backlinks to your site. How Social Bookmarking sites are helpful in SEO ? Social Bookmarking sites basically collects data from other sites or blogs. And when someone search for any information related to that , they redirect user to our site. So having links of social bookmarking site not only give you dofollow backlink but also drive visitors to your site. This also help in increasing your site social signals. There are many bloggers that only drive traffic from social bookmarking sites and some of the popular social bookmarking sites are Reddit, Flipboard, Tumbler, Stumblupon etc. If you make your post viral then you can use these social bookmarking sites. Beside traffic and ranking, its also help in increasing Alexa rank of your blog. Though Google is not giving any update on Page rank, but you can not ignore this factor. How to do Social Bookmarking ? Social Bookmarking is an art, its not like simply sharing your link on the social media sites and you will get the links n return. There is a proper way of sharing on these sites, otherwise these websites either block you or you wont be able to post link and making excessive links in short time can also penalize your site. When you post stuff on any social sites, just keep in mind that what user want. If you being a user, what type of content you would like. Try to give some unique content, if your content is unique or interesting then surely people will like it and that will help you getting more traffic. First of all never spam on any site, just post few post daily on each site and make the content to link ratio low. Like if you post some 4 photos and videos then post a single link. So this will increase your follower and when you will have more follower and subscribers, your reach will also increase. So never post links only. We keep on updating this list of high PR dofollow social bookmarking list. So if we find any new site from where we can get links, i add it to this list. Recently i shared list of high authority blog commenting site and high authority directory submission site. These are all required for SEO, so i keep on posting such stuff on Technofizi and if you like these stuff then you can subscribe to my blog. SO you will not miss any update from me. Very nice top high pr social bookmarking sites list. It will surely help me to build a good backlinks. 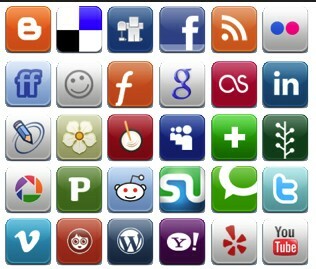 Really great social bookmarking sites list. I wonder that what a list share you ! Trying to bookmark in all sites. I think bookmarking is very good process for link building. Thanks a lot Dharmesh.